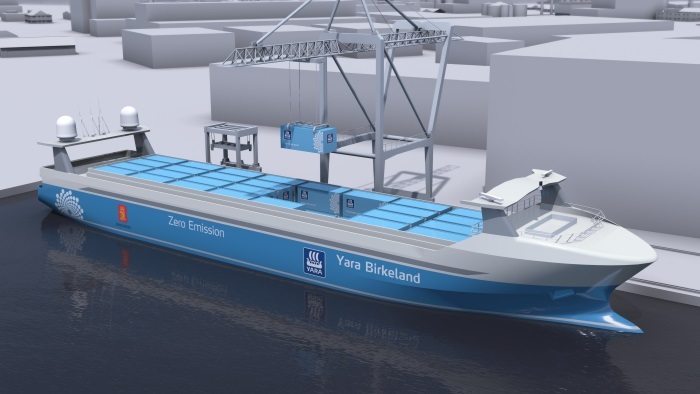 VARD has contracted PG Flow Solutions to supply the engine room pump system to the world's first autonomous and electric container vessel, Yara Birkeland. Liquid handling and pump specialist PG Flow Solutions will deliver a complete engine room pump system, consisting of coolers – including cooling pumps for the vessel's battery pack and tunnel thrusters, bilge pumps, ballast water pumps and fire water pumps plus other associated equipment, spare parts and services. The pump systems will be delivered in April 2019. PG Flow Solutions' contract value is undisclosed. “We have delivered close to 2,000 engine and utility pump installations over the past four decades, but being chosen as supplier to the world's first autonomous and electric container vessel is a particularly proud moment for us. An autonomous vessel requires the most reliable, high-quality equipment in the market, hence we are immensely proud that VARD has chosen our engine room pumps,” says Steve Paulsen, CEO of PG Flow Solutions. The vessel's hull will be supplied by Vard Braila in Romania, while the complete Yara Birkeland autonomous vessel is scheduled to be delivered from Vard Brevik in Norway in Q1 2020. The vessel will gradually move from manned operation to fully autonomous operation by 2022. “Our pump systems are energy efficient and have very low maintenance requirements. They are a good fit for the vessel's requirements,” says Morten Espenæs, sales manager at PG Flow Solutions. PG Flow Solutions provides proprietary solutions, systems and products for companies within the energy, maritime, aquaculture and land-based process industries. The heritage of the business is pumps and pumping systems. The company's headquarters and manufacturing facility is located in Sande, Vestfold, Norway. Its subsidiary Calder Ltd operates out of a similar facility in Worchester outside Birmingham, UK, while subsidiary Cflow Fish Handling AS operates out of Aalesund, Norway.